Marina Gatto has experience with data security and privacy litigation and counseling, as well as general commercial litigation. Marina assists clients with GDPR compliance, including drafting and updating cookie banners and policies, revising privacy policies and drafting data protection plans. She also advises clients on compliance matters regarding automatic renewal laws for various states. A growing portion of Marina’s practice includes assisting clients with compliance efforts in preparation for the California Consumer Privacy Act (CCPA), including conducting client interviews, data mapping and revising policies and procedures. She is also familiar with the Electronic Communications Privacy Act, Stored Communications Act, Communications Decency Act and other federal, state and international statutes, and helps well-known technology clients with related subpoenas, court orders, warrants and other user information requests. 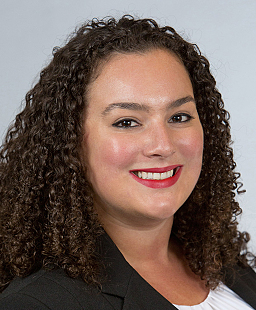 As part of her commercial litigation practice, Marina has researched and drafted numerous motions to quash, as well as motions on fiduciary duties and proxy agreements, anti-SLAPP motions and replies. She has also assisted on Proposition 65 matters, on behalf of clients facing claims under California’s Safe Drinking Water and Toxic Enforcement Act. Maintaining an active pro bono practice, Marina assists with immigration cases and landlord/tenant law matters. She has also conducted research and provided information on applicable federal law for the nonprofit group, Without My Consent, which aims to supply the public with tools to fight online harassment.